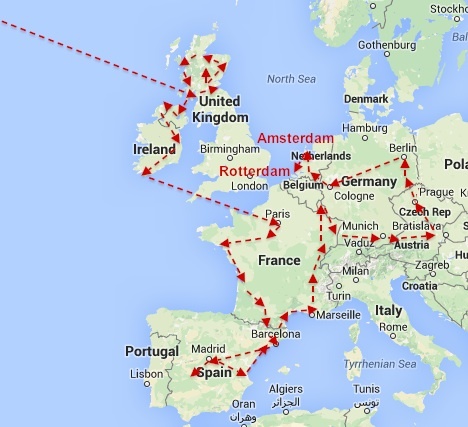 171 days of our EU Austerity Drinking Tour find us leaving Amsterdam’s fantastic beer, canals, and a windmill city for Rotterdam. With the end of our trip a month out and 12 countries under our belt, we city hop more efficiently now. I do not draw or photograph as much. My wife barely keeps a journal of each day. We just hit the ground running, see, drink, and eat cheaply but with great diversity. Winter and public transport also limit the amount we cram in. 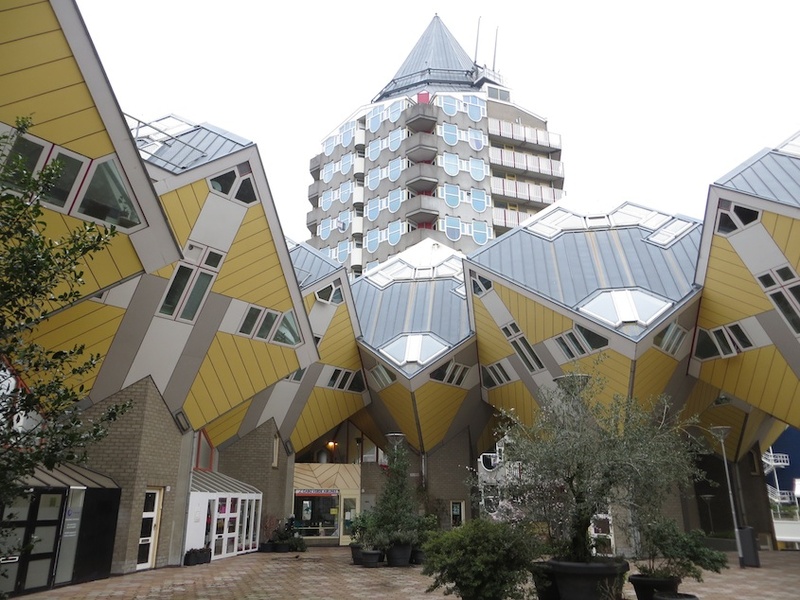 So, Rotterdam: a sleek, gray city of international trade and business. Amsterdam it is not. 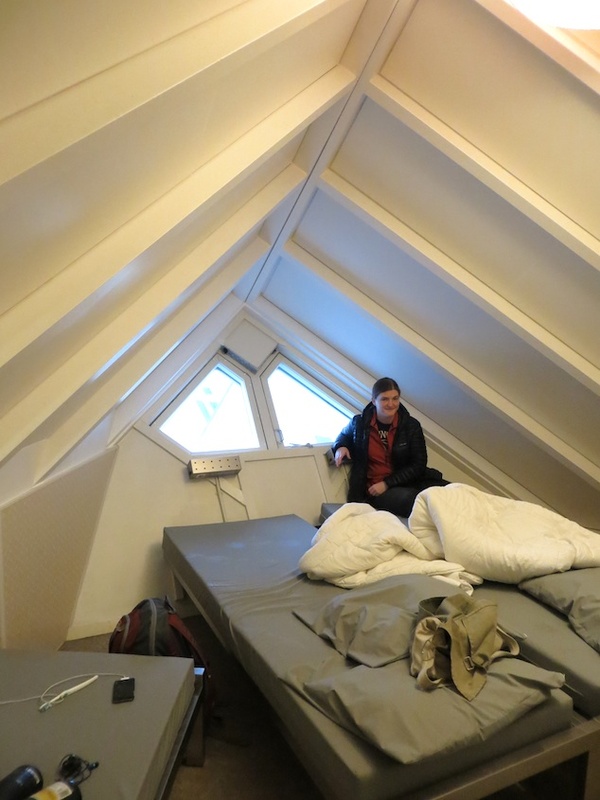 In honor of modern Rotterdam, we stay in a hostel made of Orwellian Rubix Cubes. Every wall and ceiling cut at an angle. It feels like living in a cramped futuristic spaceship from the 70’s. At least breakfast is fantastic (they even serve organic French wine! 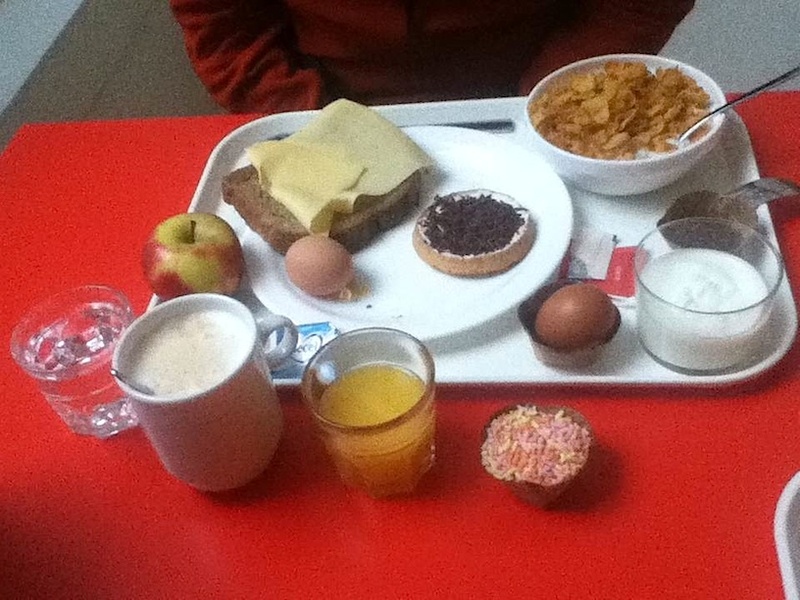 At a hostel). Treking out we struggle to find a grocery store. Seems the future will put our Austerity dining measures in jeopardy. Luckily, some bread and cheese keep us mobile. 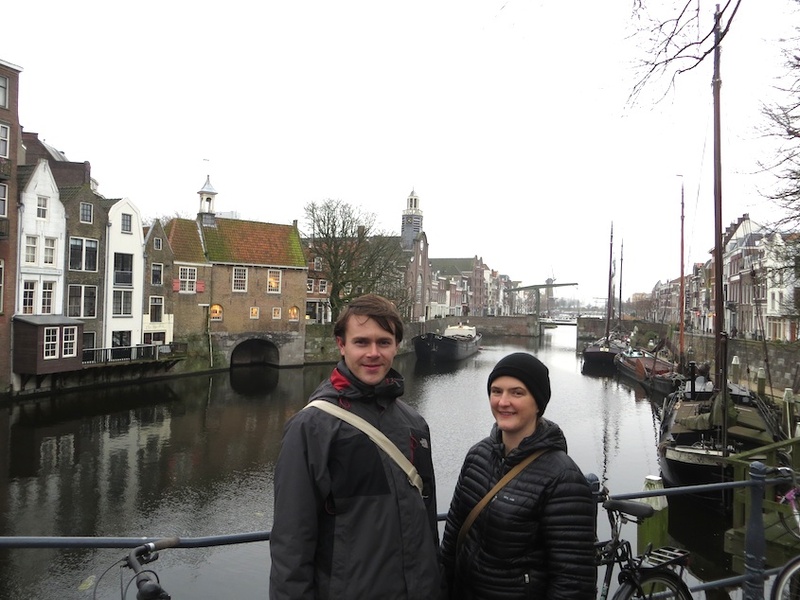 We hike the stolid waterfront toward the town Delfthaven. 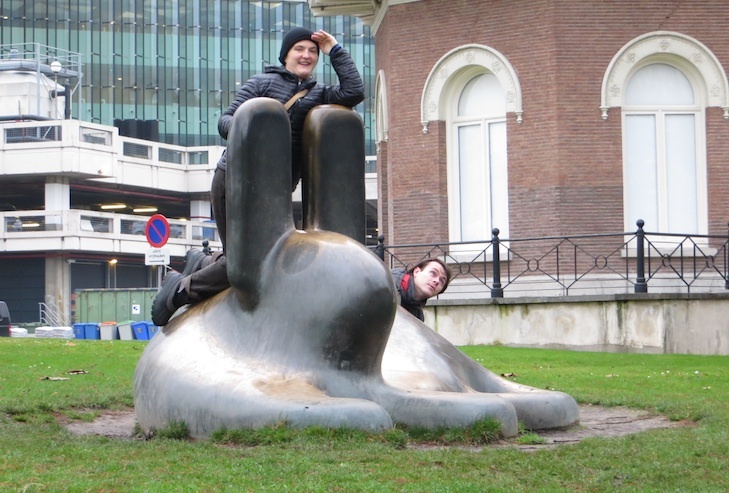 Bronze rabbits at the Modern Art Museum punctuate the dull walk. 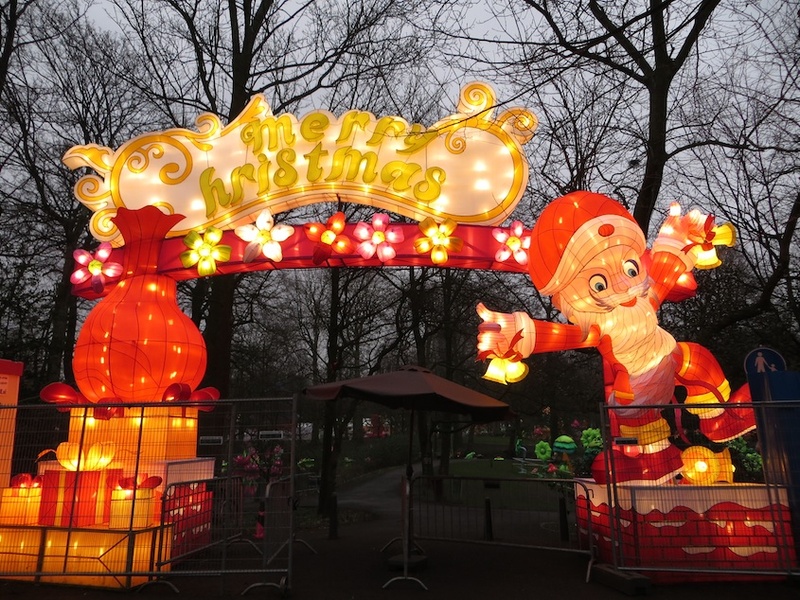 In Delfthaven, we randomly discover an adorable time capsule of a town. Then things get strange. A plaque declares the Pilgrims, yes, America’s founding Caucasians, actually stayed in Delfthaven for years before leaving here on the Mayflower for what would become Plymouth in 1620. 15 Euros per person is too steep for our Austerity measures, so we enjoy it along the perimeter and then watch the waterfront go to sleep. Our grocery stop fills our arms with beer for the evening. Brasserie d’Achouffe, La Chouffe: Ardens Blond Bier, Achouffe, Belgium. APPEARANCE: looks a hazy, medium intense gold, with small fizz and white head. AROMAS: smell pretty intensely of, well, pot (and not the kind you cook in). It’s green bottle was its undoing. This La Chouffe is skunked. But that burns off to become honeydew melon, vegetal, and of oranges. PALATE: feels acidic, with some tannins, extra alcohol 8%, medium plus body. FLAVORS: taste pronounced and of alcoholic sweetness, fresh oranges, fresh cut grass, lightly roasted grain, and Pinesol. The length is medium plus. CONCLUSIONS: This is merely Good (3 of 5). A bit too funky and green likely because it was skunked? Leffe, Royale, Nouveau Blond Bier, Dirant, Belgium. APPEARANCE: the clear, golden amber color, and off white head seem innocuous enough. 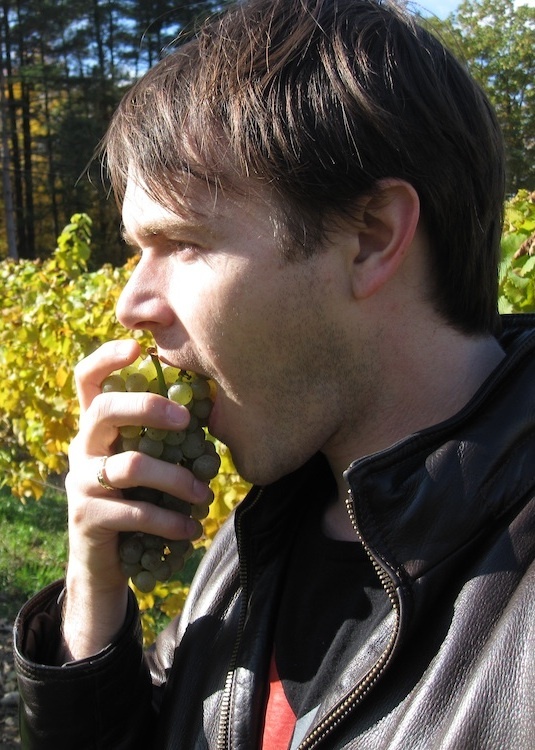 But then… AROMA: intensely rich buttered popcorn, apple, black pepper, and smoked bacon plate my nose. PALATE: feels dry, zippy and tart, moderately bitter, a pretty warm 7.5% alcohol, making for a plump medium plus body FLAVORS: taste complex, chameleon, and fairly intensely of raw cane sugar, butter, walnut, and caramel up front, but it then morphs into cinnamon, peach, vanilla, white pepper, ending on a long tomato finish. 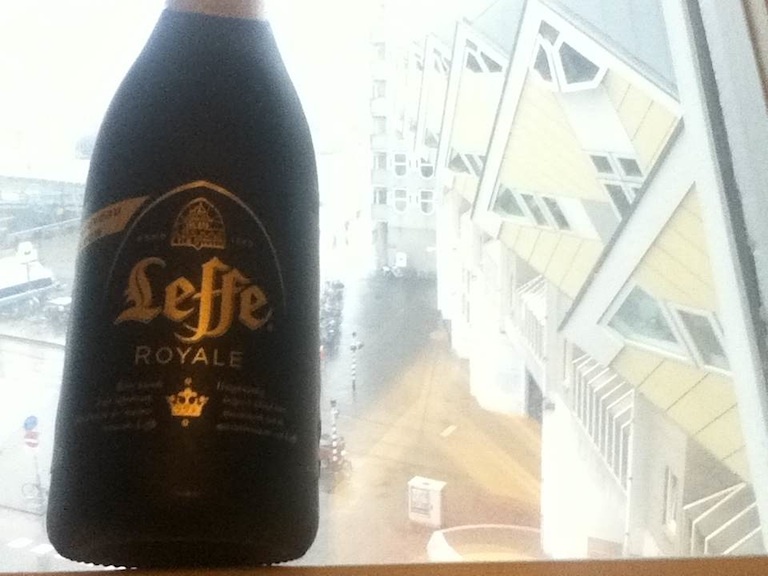 CONCLUSIONS: Leffe’s Royale is balanced, complex, and lovely. It is very good bordering on outstanding (5 of 5) (thank you black bottle). 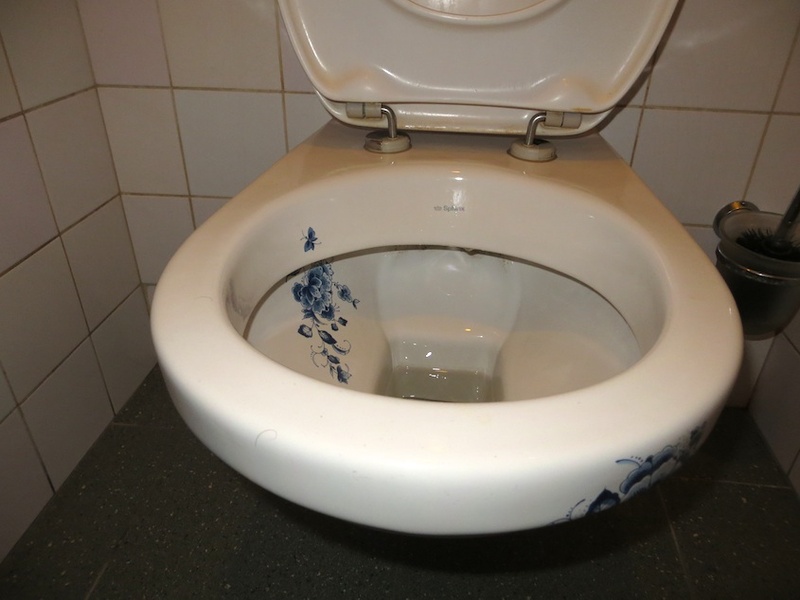 But we really stayed in Rotterdam for one thing: Delft Tile. 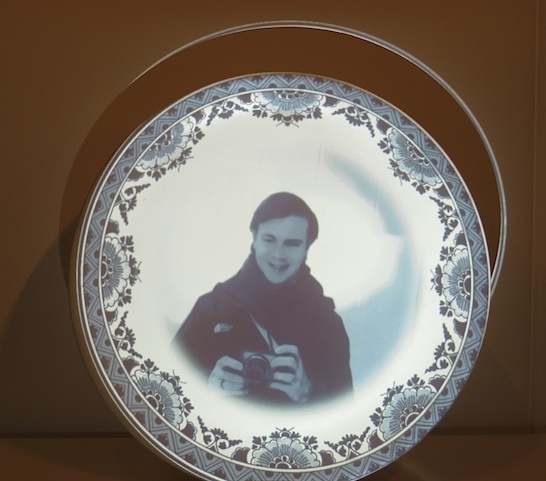 Our visit to Meissen twenty days ago (read post: here) gave us the ceramic bug. So we pop on headphones and tour the factory. 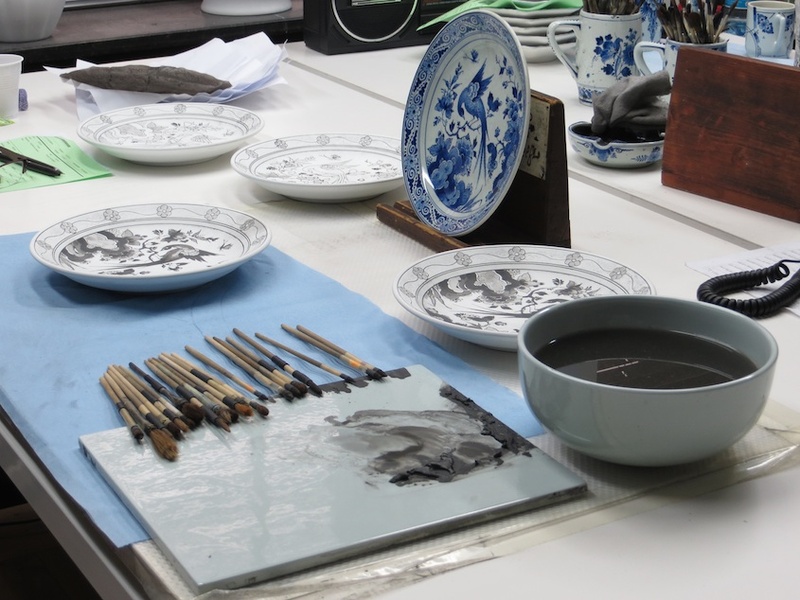 Delft, and its trade connections with the East India Company, spawned an industry hell bent on cracking the code of China wear. Although popularity for your grandma’s collection has waned, Delft kept on the cutting edge of craft. This tile staircase from the 1910s is testament. Today, they churn out many of their classic repertoire under the gaze of passing tourists like ourselves. 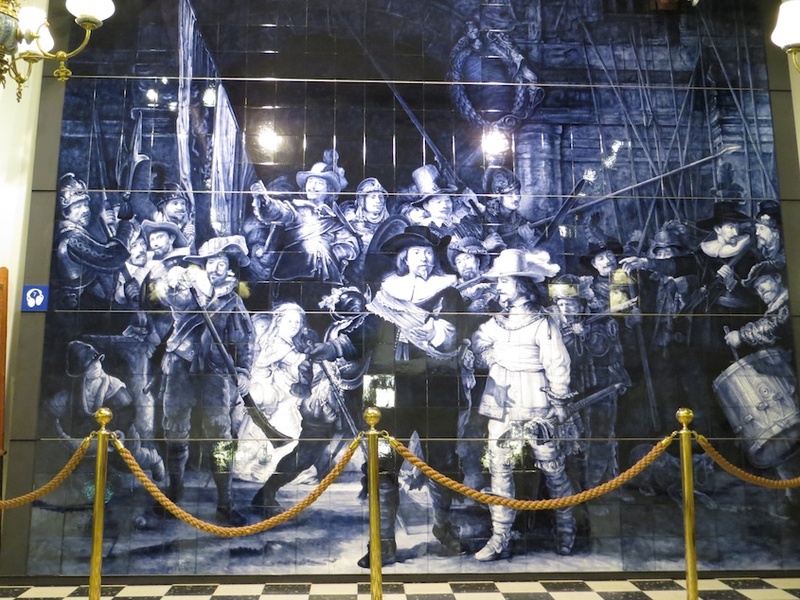 But back in the day, they decided to make a life-sized copy of Rembrant’s The Night Watch (which is way cooler than the original…that we missed in Amsterdam). The museum is a maze of experiments, with copies of Moroccan screens, medieval sanctuaries, and wooden shoes. But the real treat is the still running factory. The town of Delft is ours to wander. No tourists. 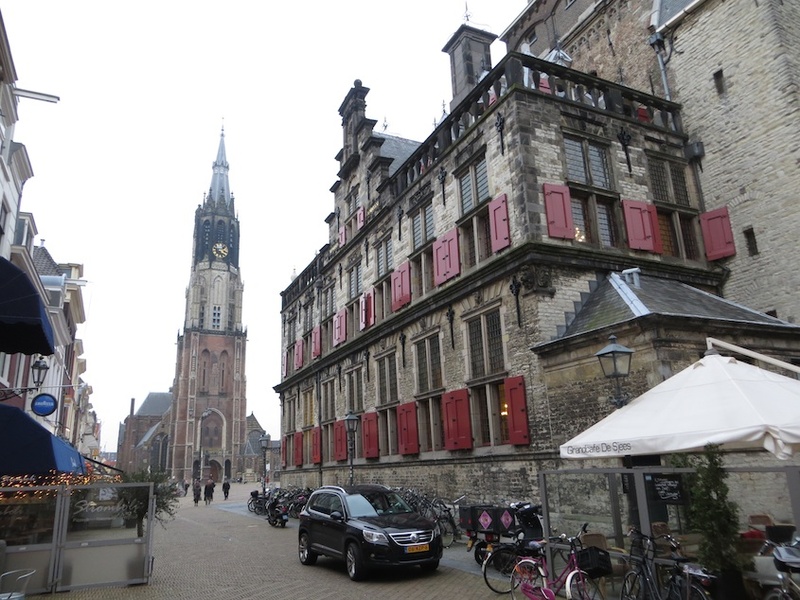 Just centuries’ old guilds, Vermeer’s birthplace, cobble-lined canals, and quaint, red-shuttered buildings. But, in no time, we pack our bags in our strange hostel, ready for Belgium. See you on next Monday’s post for flared goblet glasses of fabulous beer. 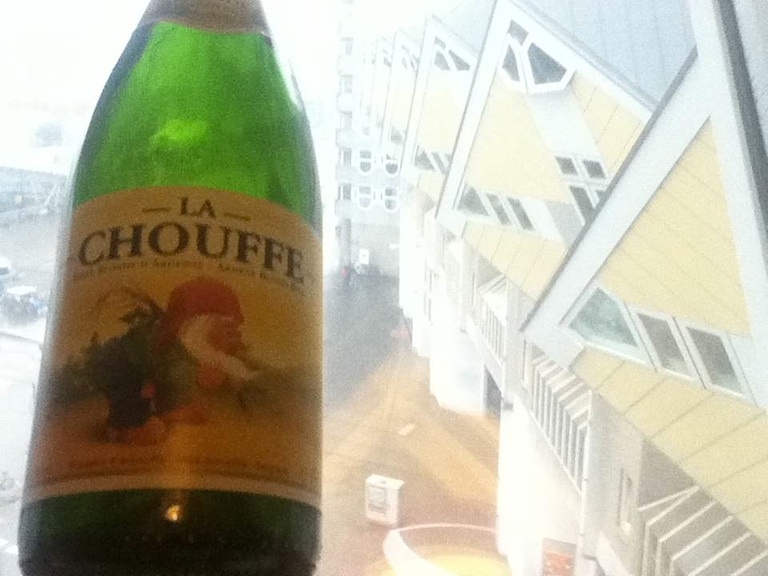 This entry was posted in Uncategorized and tagged Beer, Belgium, Delfthaven, dutch, Holland, Rotterdam, rubix cube, travel. Bookmark the permalink. 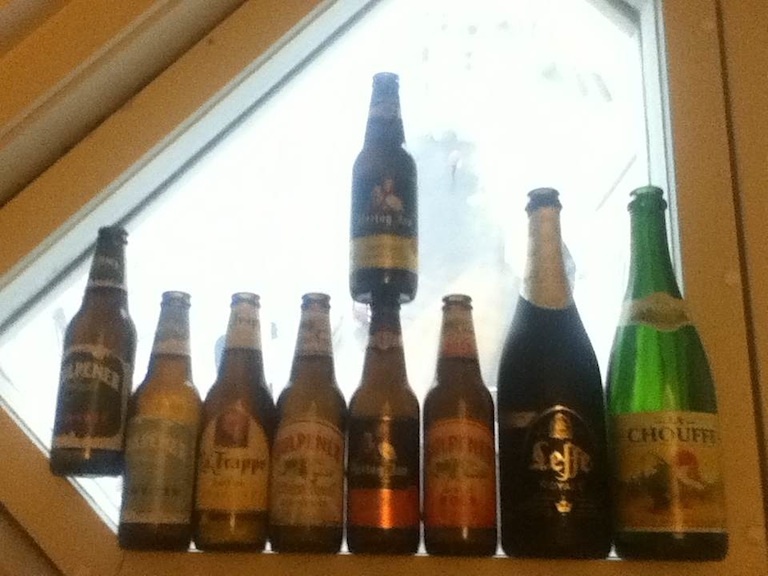 Good one: Leffe and Nightwatch, beer bottles on cot. OMG. 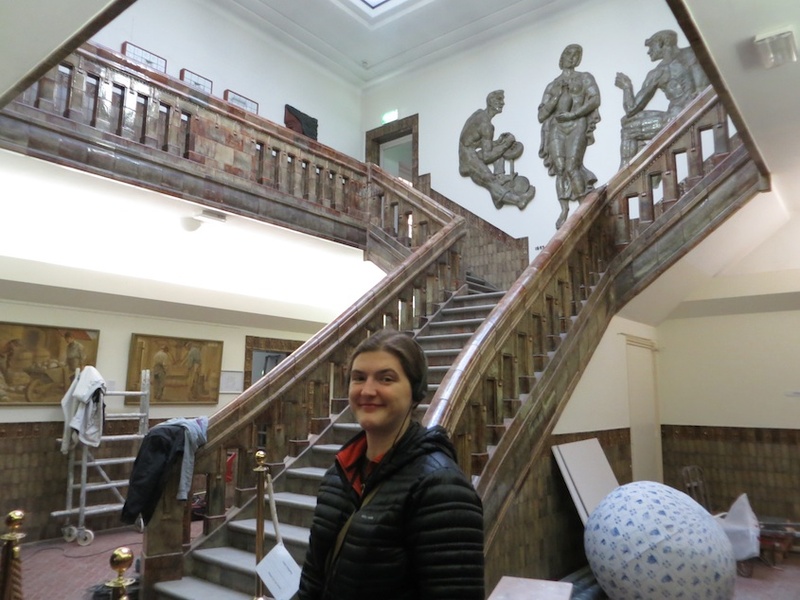 I HAVE to get to that Delft museum one of these days! Thanks for sharing.